This is actually in Masdar City in the UAE. It is a project of a living renewable community. I am happy to see they are color coding their recycling bins using common sense color coding. Here again if they add a Yellow container to separate the glass from the metal, then they have a complete Rainbow Recycling set up. It’s easy to distinguish and easier to separate. Now how hard can that be? If all bins followed the color codes, their would be no confusion. And here is an excellent example of Rainbow Recycling in action. 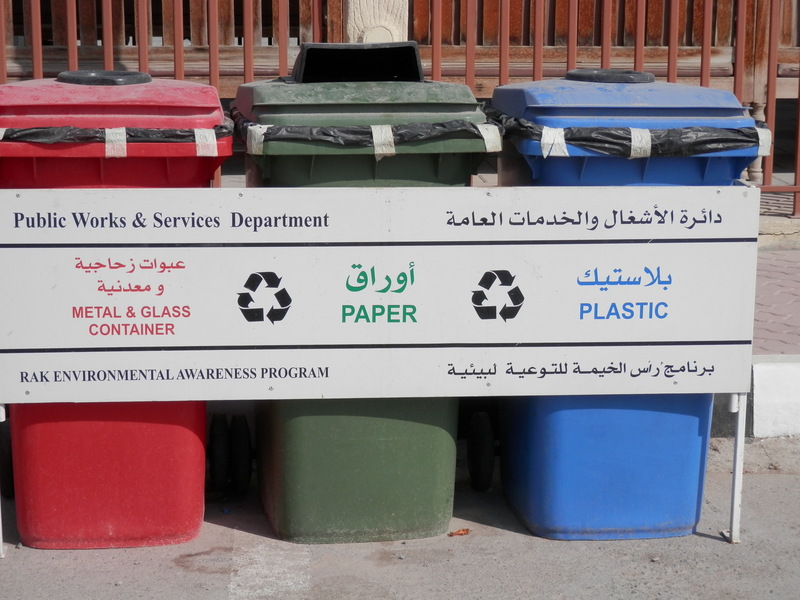 Kudos to the RAK waste management team! Now all they have to do is add a Yellow container to separate the glass from the metal and they have a complete Rainbow Recycling set up. It’s easy to distinguish and easier to separate. Now how hard can that be? If all bins followed the color codes their would be no confusion.